For two months, journalist Peter Heller rode aboard the vegan pirate ship Farley Mowat as it stalked its prey-a Japanese whaling fleet-through the storms and ice of Antarctica. The ship is black, flies under a jolly roger, and carries members of the Sea Shepherd Society, a radical environmental group who are willing to die to stop illegal whale hunting. The Sea Shepherd ship, led by the charismatic Captain Paul Watson-a modern-day anti-Ahab-takes extreme risks in defense of whales and ratchets up the stakes. The ship is almost sunk twice, once in a force gale. 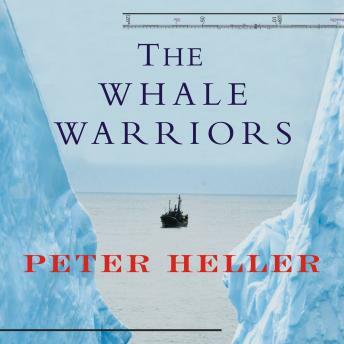 Heller re-creates a nail-biting showdown when Watson and the crew attempt to ram an enormous Japanese whaling ship on the high seas, trying to tear open its hull with a steel blade called a 'can opener.' The crews on board both ships know that there will be no assistance in this desolate part of the ocean. In thirty-five-foot seas, it is a deadly game of Antarctic chicken and a fast-paced, rollicking adventure in which the stakes cannot be higher.